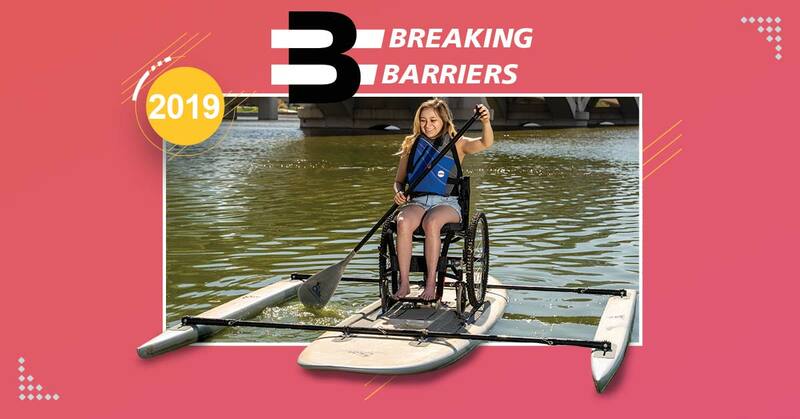 The Breaking Barriers Youth Program allows youth of all abilities the opportunity to participate regularly in three different activities; competitive swimming, kayaking and paddle boarding, and rock climbing. The mission of this youth program is to create more opportunities as well as access for youth with disabilities to be more involved in competitive and noncompetitive sports and outdoor adventures. Each inclusive activity will start at the Ability360 Sports & Fitness Center, and then move out into the competitive or outdoor setting. Breaking Barriers is a great opportunity for youth to have a sense of accomplishment, build friendships, and feel empowered by participating in one or more of these activities. Rock climbing begins on Oct. 6 with instructor training under the guidance of Mark Wellman, a pioneer of outdoor adventures for people with disabilities. Youth Climb to Success at Breaking Barriers Debut. For Jackson, scaling a 30-foot rock wall at Ability360 Sports and Fitness Center was comparable to the climb up a monstrous mountain. 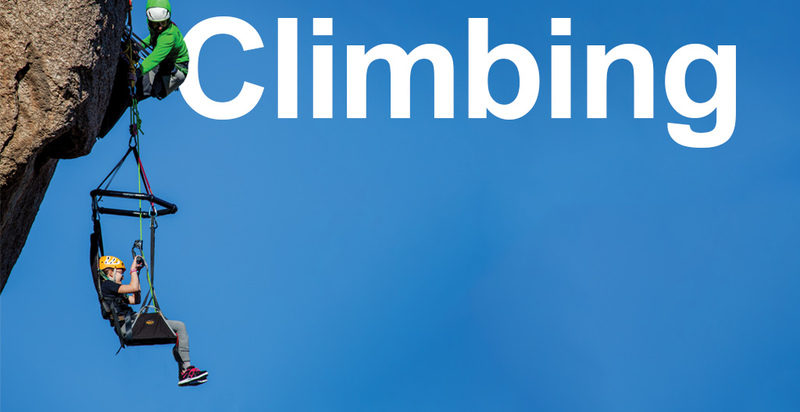 Rock climbing is offered weekly throughout the year at the Ability360 Sports & Fitness Center. In addition to weekly classes, we have partnered with Stoneman Climbing Company to guide our youth in a new and exciting outdoor experience. 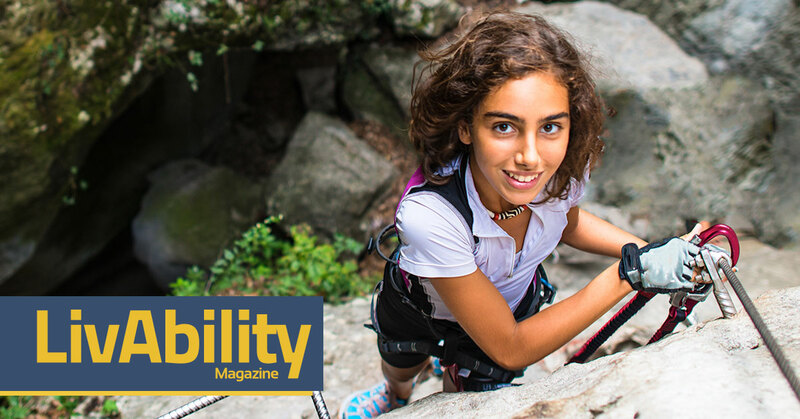 Ability360 has purchased and received additional training with adaptive climbing gear created by adaptive mountain climbing pioneer Mark Wellman. This equipment allows more members to successfully climb our rock wall, as well as conquer outdoor settings. 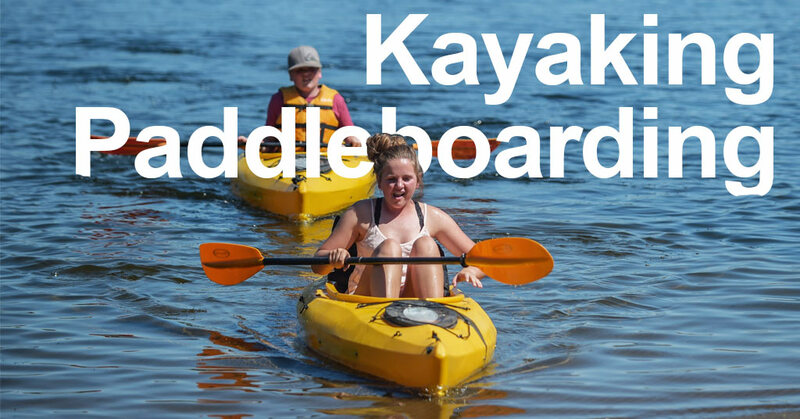 Kayaking and paddle boarding starts with basic safety training and equipment fitting in the Ability 360 Sports & Fitness Center pools. For the continued programming, we have scheduled a total of 12 days utilizing equipment to transition to a variety of local lakes in our area. 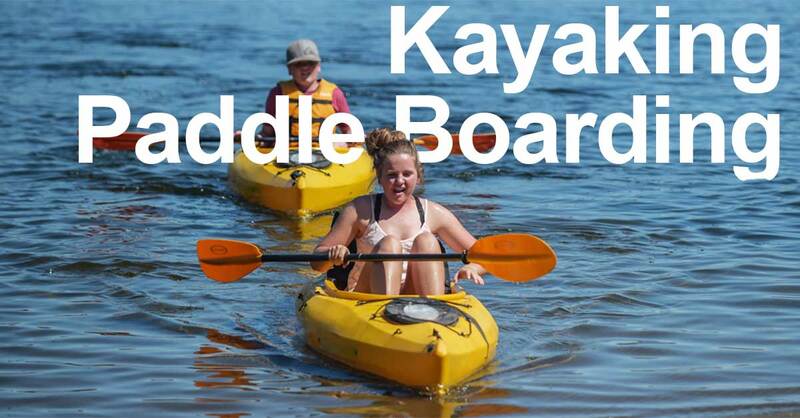 Adaptive kayaks and paddle boards will be available at the lakes for our youth participants. The swim team consists of up to 15 team members per season. 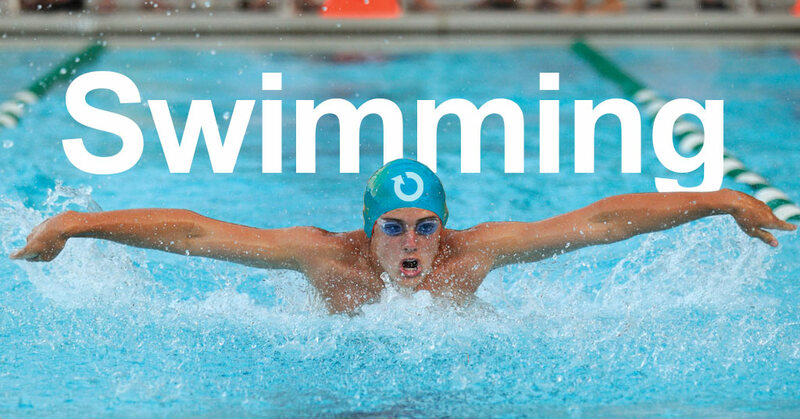 This 15-week season includes five competitive swim meets. The swim team members will receive necessary equipment needed to compete and train, such as a swim cap, goggles, kick board, team bag, swimsuit, and towel. Team members will receive proper training at the Ability360 Sports & Fitness Center to compete against other teams. The coaches and instructors will adapt to the need of each participant and their individual abilities. *All participants must be between the ages of 5-17. All swimmers must be able to swim independently. Ages 8 and under must swim one length independently and ages 9 and up must swim two lengths. Breaking Barriers Water Sports is a program designed to provide youth and their family’s adaptive recreation opportunities on the water. Breaking Barriers Water Sports includes kayaking, both single and tandem, as well as paddle boarding. Water Sports days take place at Tempe Town Lake, once a month, and will feature a variety of equipment for all levels of experience and ability. Kayaking and paddle boarding starts with basic safety training and equipment fitting in the Ability360 Sports & Fitness Center pools. For the continued programming, we have scheduled a total of 5 days utilizing equipment to transition to a variety of local lakes in our area. 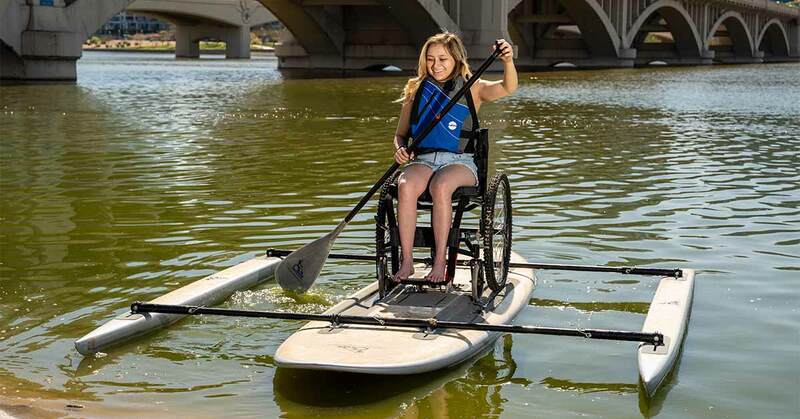 Adaptive kayaks and paddle boards will be available at the lakes for our youth participants.